Along with the increasing attention to the resource depletion and environmental impact of traditional energy, Solarwell is founded and dedicated to promoting a green environment and providing sustainable solar energy for a beautiful future. Solarwell focuses on manufacturing photovoltaic modules which provide safe, reliable and clean energy for residential and commercial users. 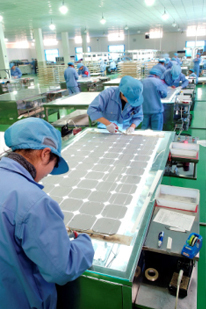 Having launched our first photovoltaic modules plant in Shenzhen, we import prime quality solar cells from Germany for producing our own solar modules to secure long term and high satisfaction of our customers. For wider use of solar energy, Solarwell also develop new technology and produce innovative solar gadgets including stone lamp, flashlight and backpack etc. in order to satisfy various demands. 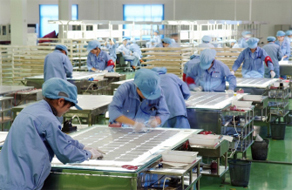 For manufacturing process, we are currently purchasing solar cells and broken solar cells from worldwide. For our expansion, however, we welcome any suppliers to contact us. Regularly, we invite Japanese expert come to our factory to give training to our employee with the most updated technology as well as inspect our production process and products. Our goal is to provide the most reliable and the best quality photovoltaic panels to sustain the high satisfaction of our customers and create a friendly environment for our next generation. 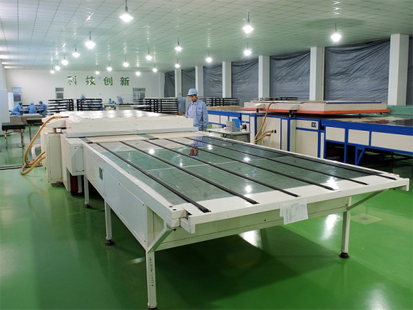 For a constantly high quality and reliability of our products, method is as important as the materials. 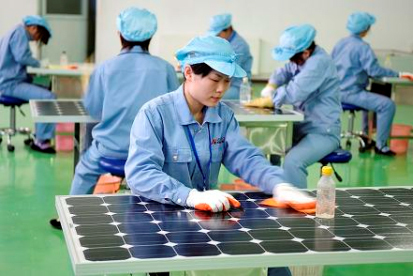 In our plant, every step of manufacturing procedure is carefully monitored according to just-in-time (JIT) system and 5S system, derived in Japan, in order to guarantee good quality to compete with the photovoltaic modules from other countries such as Germany and Japan.